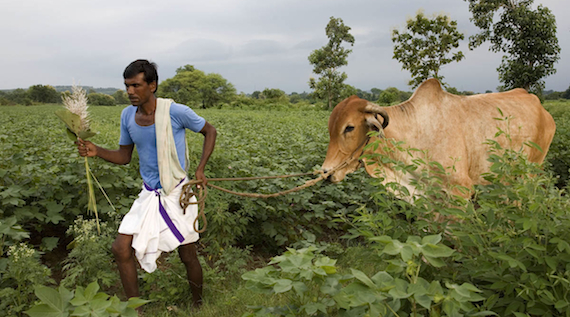 Every 30 minutes in India, a farmer kills himself in despair because he can no longer provide for his family. Manjusha, whose own father committed suicide, is determined to become a journalist. Her neighbor, Ram Krishna, a cotton farmer at the epicenter of the crisis becomes her first assignment. He must borrow heavily to buy the expensive genetically modified seeds, putting up his field as collateral with the hope of having a good harvest in order to keep his land. Beautifully told and deeply disturbing, Micha Peled’s BITTER SEEDS explores the way farming is changing all over the world. Following a US complaint to the World Trade Organization, India had to open its doors to foreign seed companies. Within a few years multinational corporations have taken over India’s seed market replacing the local disease-resistant strains, with dire consequences for local farming. Winner of IDFA’s Green Screen Competition, IDA’s Humanitas Award and the Berlin Film Festival’s Cinema for Peace International Green Award.